I was recently at the Remodelers Summit in Addison, Texas. The conference was put together by Remodelers Advantage, a top industry educator and consulting firm. With only 400 seats available, I was excited to be able to join other top remodelers from across the U.S. and Canada to sharpen business skills and become a stronger and even more stable business. 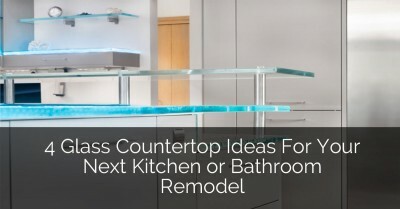 What would be the most important tip you could give someone about to start a remodeling project? “Look for a remodeler who has solid processes in place to ensure customer satisfaction: a process for design, production, warranty, monitoring customer satisfaction even, and especially for handling any issues that arise while the project is under way. Process shows planning for success and also how they will deal with the curve balls that come with opening up walls and floors in an existing home. Any team can have a project go smoothly, how a team deals with adverse situations and keeps the customer happy if and when they occur is what separates the companies with lifelong repeat clients from those who are just so.” ~ Josh McDermott, owner of J.T. 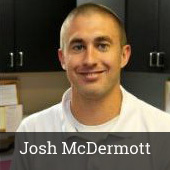 McDermott Remodeling Contractors located on Belleville, Illinois. 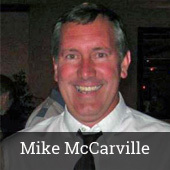 “I’d say it would be to hire a professional, experienced company that has documented success in similar projects. I would encourage them to reach out to past clients to get their feedback on the entire experience they had with their prospective builders and not rely solely on the sales persons claims of how good they are. As you know in our business, you get what you pay for and the cheaper price often means that valuable pieces and resources have been cut from the project.” ~ David Ellis, owner of Ellis Construction located in Boulder, Colorado. 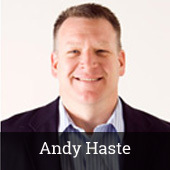 “Make sure the contractor you choose includes a detailed scope of work in the contract. This will help clearly communicate what is to be completed throughout the project. And also make sure the contractor will present you with a timeline before the project starts. So you know when the trades will be showing up to your house.” ~ Mike McCarville, owner of RoJohn Home Improvement located in Fort Dodge, Iowa. #4. Have Faith in the T.E.A.M. “If the right team has been put together to execute clearly defined project goals then all will be well, especially when you, the client, understand that you are a key member of the team. Without an engaged client who understands her/his role it is not possible to effectively achieve project goals. Another way to look at TEAM is…. T = Training – everybody, including the client, needs to be properly trained in their respective roles. E = Empathy – each team member needs to actively visualize what it must be like for other remodeling team members. A = Action – the process must always be incrementally moving toward achievement of project goals. 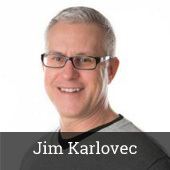 ~ Jim Karlovec, owner of Karlovec & Company located in Shaker Heights, Ohio. “Why are you doing this project? Is it because you plan to live in the house for the next 20 years, or are you hoping to flip it and make money? Is it because you need more space, or you’re just trying to keep up with the Joneses? Make sure your builder or remodeler understands and appreciates “why” you are doing the project. When you understand your why, you’ll be better able to pick the right company for you. 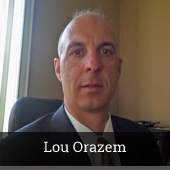 When you know your why, the rest of the answers will come easily – design solutions, material choices, etc.” ~ Lou Orazem, owner of Inspire Homes located in Caledon East, Ontario. #6. Can I Trust This Person? Is the company full service or a specialty firm? What percentage of work is referral business? #9. Have You Considered Moving? “Remodeling is a wonderful way to see your home become the place you love to be, but it comes with a bit more work on your part than just packing your belongings and setting up a new household. 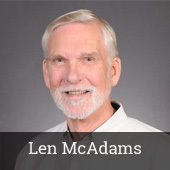 If this is your home and your neighborhood and your school district then by all means find a team of professionals to make this the home for your life.” ~ Len McAdams, owner of McAdams Remodeling & Design located in Kirkland, Washington. #10. Would You Allow Your Daughter to Date This Contractor? “The Daughter Test: Would you allow your daughter to date the Contractor? Of course, I’m not being literal (unless you’re my father-in-law reading this right now….) Being a father to 2 girls, I want nothing but the absolute best for them; as every parent does for their children. When I think about the type of man my girls may end up with, there are 3 different types that come to mind; and for this purpose they are Home Remodeling Contractors. The 1st is the one you’re okay with in the short, un-eventful, minor, or low risk project. This type of Contractor we’ll call the High School boyfriend. The 2nd is the Contractor that’s likely qualified for the project, will do a fine job, but you’re hoping against a long term future. Just get through this project because it has to be done. This one we consider the rebound boyfriend. 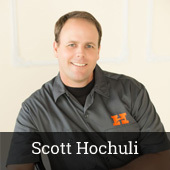 ~ Scott Hochuli is the owner of Hochuli Design & Remodeling Team located in Scottsdale, Arizona. “Start with respect. No smoke and mirrors here, but mutual trust and respect in the client- contractor relationship. You also need clear communication by both parties. 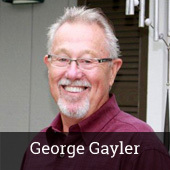 This will assure a really great project.” ~ George Gayler, owner of Gayler Design Build Inc. located in Danville, California. “When a homeowner decides to move forward with a significate remodeling project, he or she should do the proper research to determine the correct contractor for the project. A growing number of homeowners are finding success by hiring a Design/ Build remodeling firm. The Design/ Build school of thought is not a new process but it is one that not only continues satisfy homeowners with the finished product, but with the overall process as well. The design/ build process combines the design phase of the project and the construction phase under one roof. Not only does this provide the homeowner with “one point of accountability” but it is a continuous focus from start to finish on the owners and their needs. In the Design/Build process these firms focus on design, budget, schedule and construction which are discussed throughout the project from the first call to completion. 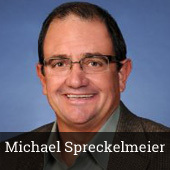 Is Design/ Build for you?” ~ Michael Spreckelmeier, owner of Progressive Builders located in Fort Myers, Florida. If you are a remodeling contractor and feel they missed a great tip, leave a comment below. We would love to hear from you. 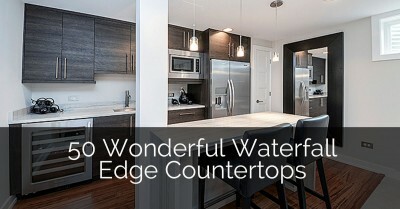 Check out more information on Remodelers Advantage. If you are a homeowner and feel overwhelmed with the remodeling process, download our Remodeling 101 eBook. When looking for a building contractor, I very much agree that you need to be comfortable with them. 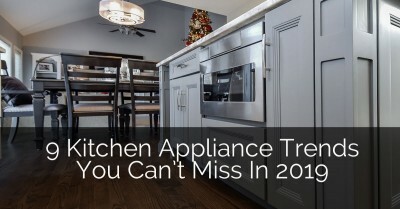 You are trusting them with your house and you want to make sure they are going to do it right. The list of questions to use the next time for a contractor are great. Thanks for the helpful questions to ask the contractor. These are some great tips! Thanks for putting this article together! 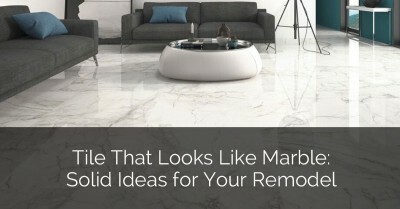 These are some great tips, and I especially appreciate your advice to find out why you want to do a remodel. My husband and I just moved into a new house, and I would really like to renovate the kitchen. I’ll definitely talk with my husband about it so we can be clear on exactly why we want to do the remodel, and then the rest of the decisions will be much easier to make. Thanks for the great post! I had never thought about checking on past clients of the contractors. 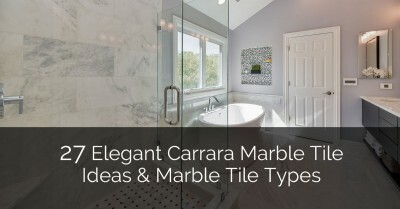 It is a good idea so you can see how well the contractors did on similar projects that you want to do. I will make sure to get some references from the contract before hiring anyone. This is an awesome list of great tips to get the best contractor out there. I’ll be doing some remodeling in my home soon and I’m pretty I’ll be following all the tips about talking to friends and family to see their experience with other contractors. 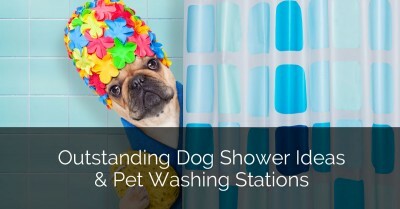 I’ll have to pass this article along to a few other friends who are getting some general remodeling work done so we can all get the best possible. Thanks for the info! I really like that list of questions under tip #8! My husband and I are going to be starting a remodeling project in the next few months so we will have to keep those questions in mind for when we find a contractor. I am excited to see how everything turns out, I’m sure it will be awesome! 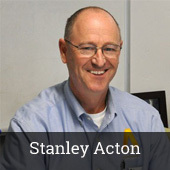 I agree that it’s important to know the “why?” of your home remodeling project. My last remodel would have gone very differently if I didn’t know exactly why I was knocking down a wall. If you have specific goals in mind it can drive your project, and also keep everybody in the loop. I really like your tip to ask the right questions. If you don’t ask the right questions you wont get the answers you are looking for! I especially like how you say to ask how much of their business is referral work. That is a good indicator of how happy clients are with their work. Thanks for all these helpful tips! This is some really good information about remodeling company. It does seem like it would be a good idea to do some research when you need a remodeling company. That way, you know if they are good. I agree that mutual respect is paramount in working with someone on a renovation. My brother worked with a contractor that only argued with him which ended up costing him a lot of time and money and it was a total mess. If you can work with someone that respects you, you’re more likely to get what you’re looking for. Great tips! Thanks for this helpful post on home remodeling. I am going to be doing a fairly large home remodel job soon. I really like what you said about finding a good contractor with a process. I really like the idea of getting feedback from previous clients from each contractor. I would love to be able to see what other people said about them. Thanks for the help! These are great tips for remodeling a home! I think it was an interesting article because you pulled in the opinions of so many other people. One of the things I need to work on that was mentioned in the article is that I need to ask the right questions about the home I want to remodel. Thanks again! I appreciate the tip about asking the right questions. This is something that I am concerned about, because I think communication is vital in this situation. The questions that are a great reminder of what I absolutely need to know. Thank you for sharing all of these tips and advice from people who have done this before! I couldn’t agree more with #1, without a process, if a contractor is doing more than one project they might bounce around. Make sure they know what to tackle first and finish that before moving to another projects. I actually love all of these remodeling tips! My husband and I have been wanting to remodel our house for a couple of years now, but we haven’t really known where to start. I love the 7th tip about designing. I think it’s a great idea to partner up with a remodeling company. I might have to look into that. I really thought that Scott Hochuli’s 3 points about hiring a contractor that you’d let your daughter date was a little funny. In all seriousness, though, I definitely want to make sure that I hire one that has strong morals and is full of integrity. However, what can I do test a contractor’s integrity before I hire them? Thank you for the help. My wife and I are planning on doing some remodeling soon. I really appreciate the questions shared in number 8. I have assumed that a contractor would use employees. I’ve been trying to come up with a good way to get my home remodeled. I didn’t even think about making sure that my wife and I communicate clearly on what we want! That seems like a great way to ensure that we don’t have any disagreements. Thanks for the tips! These are some great tips, and I appreciate your advice to get referrals from friends and family when looking for a contractor. I’ve been wanting to make some changes to my dining room and living room, so I need to find a painting contractor to do that. I’ll definitely ask around to see if anyone I know has had a similar project recently to get recommendations. Thanks for the great post! Really love the “Would you allow your daughter to date the contractor” test. That is hilarious but so true. Great article! While I agree with you on getting feedback from past clients, sometimes that can be tricky. I only say this because there is a lot of DIY’ers out there that try to take control of projects with the head contractor and the result can be catastrophic. Just make sure you get the whole story! My husband and I want to remodel our basement, so we need to hire a contractor. I really like what you said about hiring a contractor with a process, so that you know exactly what is going to happen and in what order. I really want to know what is going on, so knowing their process would really put my mind at ease. Thank you sharing the post, especially the 12th one. We are planned to refurnish our house. A big thanks. I really like your advice to find a contractor with a process. It seems to me that a lot of people don’t understand why you would want someone to help you out and be organized why they do it. However, that kind of organization can make your remodel go well. Do you have any other tips about finding someone good to remodel your home? 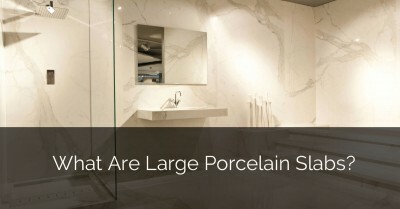 Hi Johnny, please check out https://sebringdesignbuild.com/5-questions-to-ask-every-home-remodeling-contractor-before-you-meet/ for more great tips. Thanks for reaching out and have a great day! I really like the list of questions to ask under tip #8! My husband and I have been wanting to do some renovations for the past few years but have never gotten the courage to talk with a contractor; mainly because we just didn’t know what to ask. I think that if we use this list, we will be able to find the right person for the job and start working on our dream home! Thank you so much for sharing this information! I’m planning on remodeling my living room and want to make sure everything goes smoothly. Asking yourself why seems like a great idea so that you can better pick the right company for you. Something else to consider is to get a remodeling contractor that you easily get along with and can trust to be in your house alone. I just bought a new house and my wife wants to remodel a few areas. I hadn’t thought about asking “why” the remodeling needs to be done, but it makes sense that if you let the professionals know “why” you are doing it they could help you better. I will make sure to ask my wife and let her know that she can tell whoever she hires why she wants the work done, it could save her some stress. I have been putting it of the remodel of the master bedroom for a long time now and I really need to get it done. It was helpful to know that when hiring a contractor one would need to ask for a company lead that is certified. I haven’t done that with past projects, but it seems like that right thing to do from now on! My husband and I have been looking into renovating our home for a while now. It’s such a large project that we definitely don’t want to try and do it by ourselves. These tips for finding the best contractor to help us out are super insightful! I especially appreciated the list of questions to ask when hiring a remodeling team. Looking at a team’s past projects is also a great way to ensure the best experience possible. Thanks for sharing! I agree that you need a contractor that has a creative design. 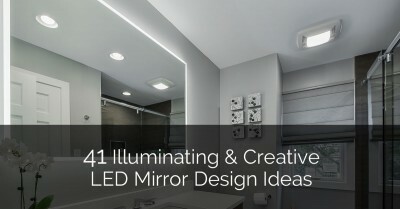 I would imagine that especially in a remodel having someone who can be creative would be really important. I’m looking to remodel my kitchen to give it more of an open concept so I’ll have to choose a contractor that will be able to do that in a creative way. I really like Josh’s tip about finding a contractor with a process. That definitely seems like something that would be important to help with all of the things that need to be done. We have been thinking about finishing our basement for a while now so we will have to keep these tips in mind while we are looking for a general contractor. Thank you for sharing! I like that you mentioned trust as a big factor when finding a contractor. You should be able to rely on their advice and trust their prices. I would start by looking for referrals from your family and friends. I want to start a remodeling project, but I don’t know what to do. It makes sense that I would want to look for a contractor who has a clear process! That way I know that they’ve done it before, and are good at what they do. I really appreciate tip number six. Remodeling is a big deal and it should be important that you trust the contractor. A home owner may not be available when every decision needs to be made. I know if I hired a contractor, I would want someone who could be trusted to make the best decision for me. 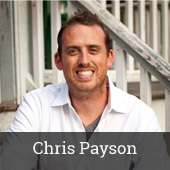 I thought the article provided some good tips for finding the right home renovation contractor. I especially appreciated the tip to look at feedback from former clients about the services that were provided. I think I would feel much more comfortable hiring a contractor that could provide a list of satisfied clients from the past. I love the recurring advice that was given about how crucial it is to confide in and trust the contractor of your remodel. I’ve heard, too, that effective and frequent communication throughout the process is the key to success as well. 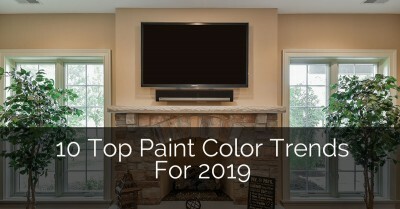 I’ll be sure to keep all these great tips in mind as my wife and I try to decide how we want to do our remodeling this summer. This is exactly what I need. Great to have more tips from different expert. It was nice for me to read it.Many thanks for sharing all these useful and informative tips. We are hoping to remodel the entire face of our home. My husband wants to make sure that the home construction goes smoothly, so I love your comment about making sure the contractor has attention to detail to the point that I may feel it’s excessive. That’s really smart because we don’t know much about the process and so that is why we would depend on the professional. We’ll keep this in mind as we review our options. I have wanting to change the look of our kitchen for a while now, and have finally convinced my husband that it is time. But since neither of us our experts at remodeling, we need help in finding the right contractor to help us out. I like how you pointed out that one thing we need to do is ask potential ones the right questions, like what their plan is and how they control the quality of their jobs. That will really help with giving us an idea if this is someone we can work with and that they will complete our job right. My wife and I are looking to get our kitchen redone, we obviously looked at the pictures but we never even though to get feedback from past companies. I wonder if that’s something a potential company would provide, but would they really provide a bad potential client. You make a good point, but the truth is that whatever feedback you can get (good or bad) is helpful in choosing the right contractor for you. Thanks for these great tips! My wife and I have been thinking about remodeling our kitchen and would like to find a good contractor to hire. I’d like to present this list to her to help convince her and go through with the project. Cheers! You mentioned getting feedback from past clients if you’re going to hire a professional contractor. One way to do this is by checking for reviews and testimonials on the company website. You can also ask the contractor themselves if they can provide you with a list of names whom you can contact to see if they were satisfied with the work done on their homes. If I were to hire a remodeling contractor, I would make sure to ask for a recommendation first. Thanks. 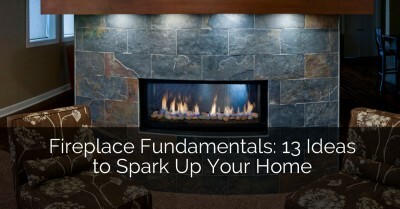 Thank you for the post with the number one tips from 12 home remodeling experts. 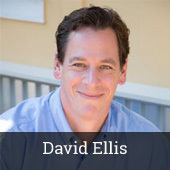 I like David Ellis’ tip to get feedback from past clients. That way you can get an overall feel for the contractor and see their past work to know if they are right for you. I’m glad that this article mentions choosing a contractor that will present you with a timeline before the project starts. Having a schedule could help you know when everything is completed and keep track of whether or not everything is progressing as it should. When choosing a contractor, you’d probably want to read online reviews and set up a meet with them so that you can ask questions and learn more about their services as well as whether or not they’ll be able to stick to a schedule and provide you with the home improvement you want. Thanks Andy for the right questions. Really helps. Last spring I was going for a bathroom renovation and I totally had no idea about what I should actually ask the contractor before I hired him for the job. Thanks again. My favorite part of this article is when you mentioned that understanding the reason behind a remodeling project and effectively communicating it with the contractor is imperative for a successful remodeling project. My husband wanted to remodel our home because he’s gotten too bored and accustomed to how it usually looks. We’re not looking for a bigger space nor are we competing with a neighbor. We’re doing this because we want to feel good about where we live. I’m happy that I came across this article when I did. Thanks for sharing this very interesting read! Great article, hope to see more similar posts.